Your library system has a subscription to the periodical, Bon Appetit. 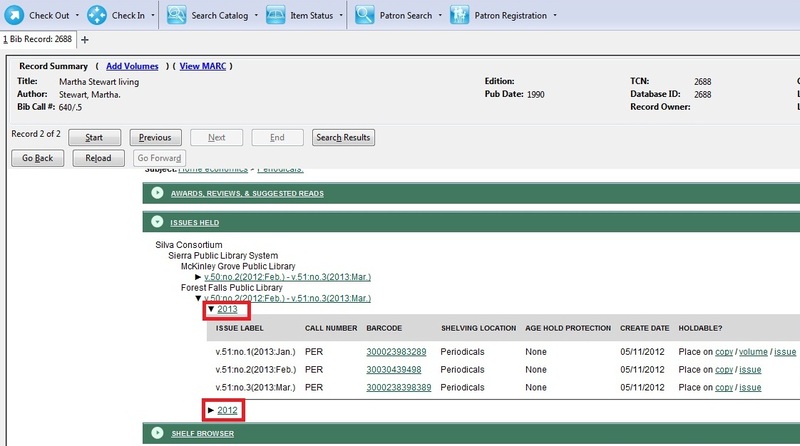 The serials librarian has determined that the issues at the Forest Falls branch should display in the OPAC by month and year. The issues at the McKinley branch should display by volume and number. The serials librarian will create two distributions for the serial that will include these groupings. 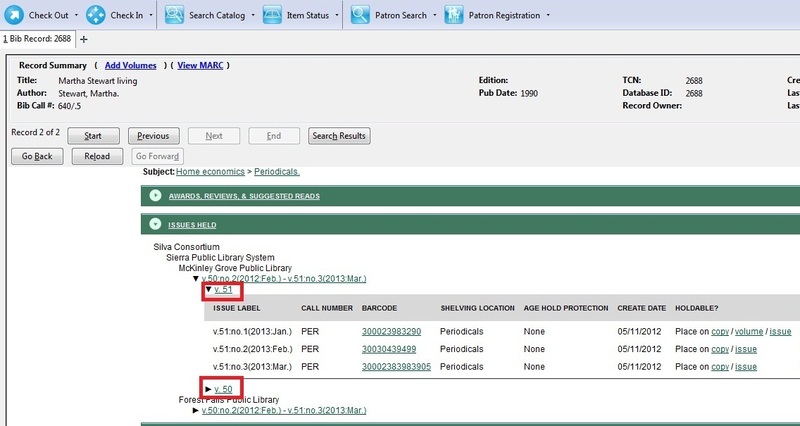 Retrieve the bibliographic record for the serial, and click Actions for this Record → Alternate Serial Control. 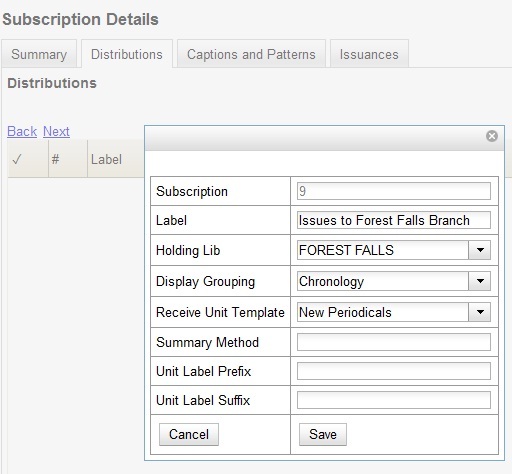 Create a New Subscription or click on the hyperlinked ID of an existing subscription. Create a label to identify the distribution. Select the holding library from the drop down menu that will own physical copies of the issues. Select a display grouping. Select chronology from the drop down menu. Select a template from the drop down menu to receive copies. Click New Distribution and repeat the process to send issues to the McKinley Branch. Choose enumeration in the Display Grouping field to display issues by volume and number. Complete the creation of your subscription. Retrieve the record from the catalog. Scroll down to and click the Issues Held link. The issues label for each branch appears. Click the hyperlinked issues label.